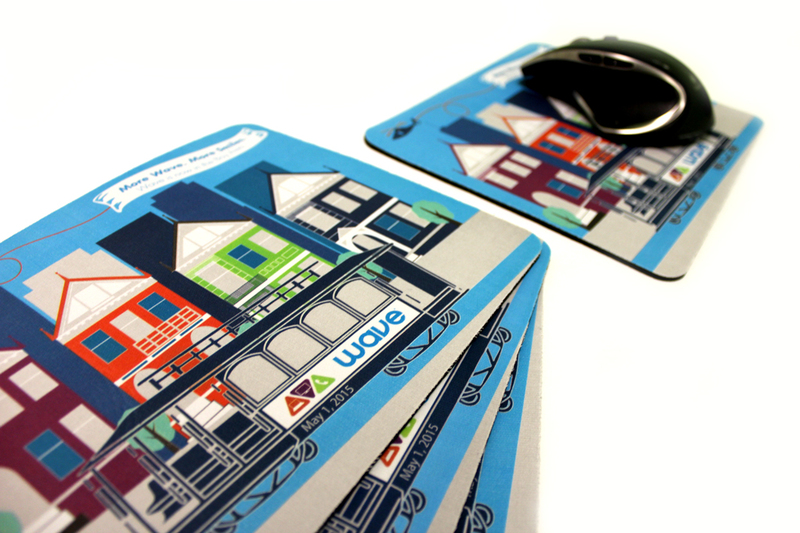 Kirkland based Wave was expanding it’s company to the bay area and wanted to have a gift for their business partners. Working with Image Source, they decided on custom mouse pads. With the use of fun artwork the pads turned out awesome! You can’t beat the function, cost, and branding real estate of custom mouse pads.